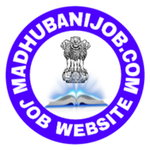 Short Information :- Bihar Public Service Commission (BPSC) Are Interested to Online Recruitment of Assistant Engineer (Civil) Main Competitive Exam Vacancies. Those the Candidates Who Are Interested in the Vacancy Details & Complete the All Eligibility Criteria Can Read the Full Notification Before Apply Online. Candidates Must be Passed Diploma / Degree (Civil Engineer) From a Recognised University / Institute.